Last Saturday was the 7th day of Chinese New Year and is what we call Renri 人日(in Mandarin), literally means Human Day. According to Chinese culture, this was the day human beings were created so it is everyone’s birthday. And if you were wondering who was created before us, they were the chicken, dog, boar, sheep, cow and horse. On this special day, it is a Malaysian and Singaporean tradition to have Yu sheng so we celebrated at Gold Mine restaurant, one of the few Chinese restaurants that make this dish in London. 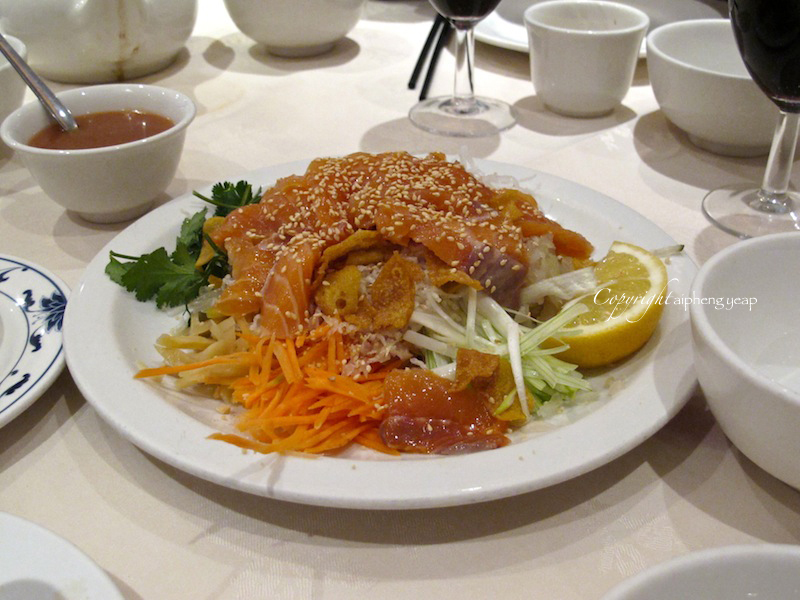 Yu sheng is a type of raw fish salad with ingredients like pomelo, radish, carrot, turnips, peanuts, plum sauce and raw fish (originally raw herring but now it is common to use raw salmon). 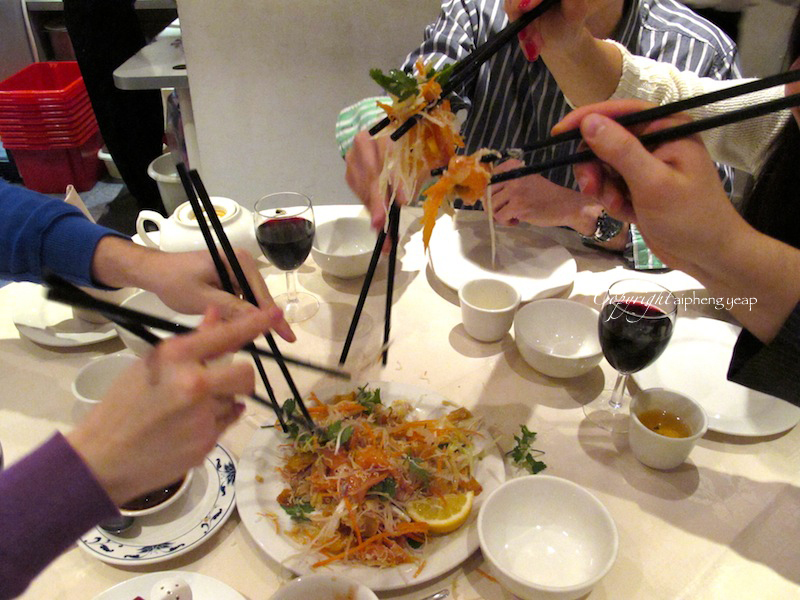 Eating yu sheng is a fun activity where everyone would stand around the table with their chopsticks and mix the ingredients by tossing them as high as possible as it symbolises prosperity and good luck. The higher you toss it, the better the year ahead. This usually leaves the table in a mess but it is part of the fun. Juicy and tender duck covered with sweet and salty sauce. 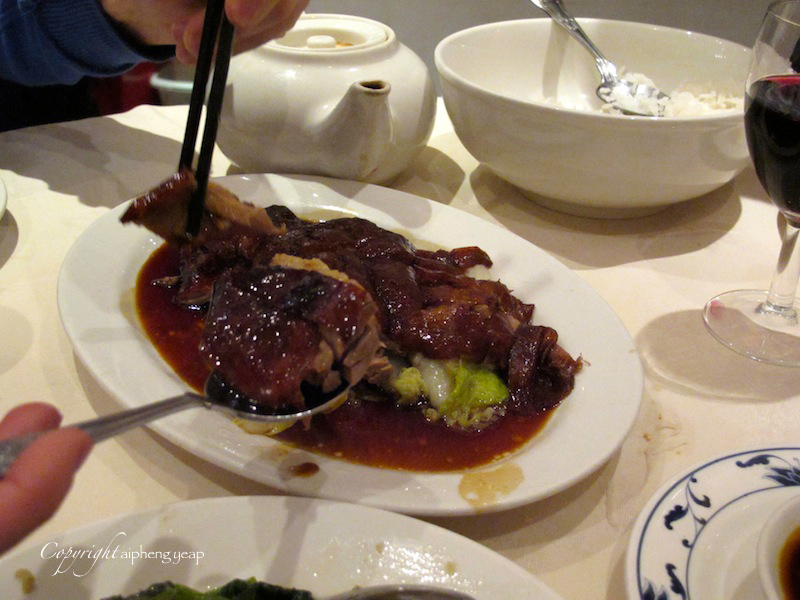 Some people say Four Seasons has the best, but in my opinion, Gold Mine has one of the best roast duck in London. 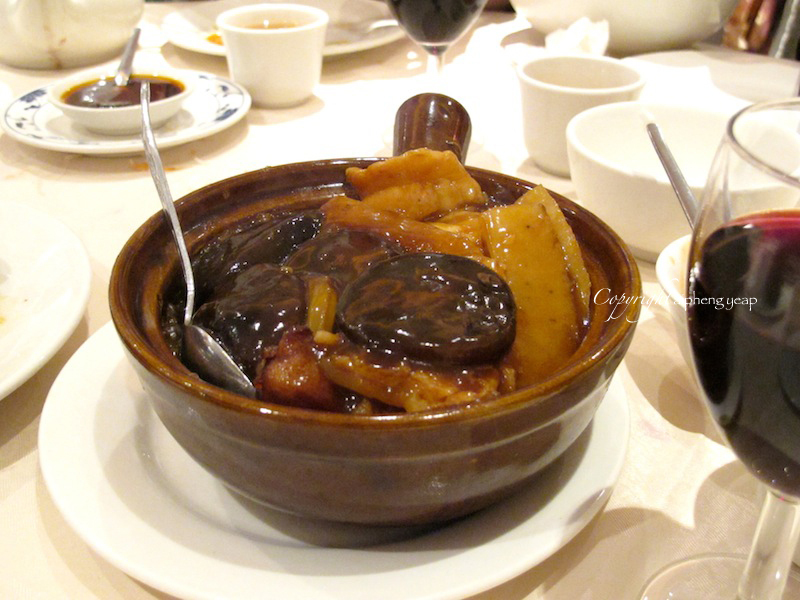 Duck's feet, sea cucumber and chinese mushroom in a claypot. Some of us (the Asians) enjoyed it but our European friends were not a fan of this dish, particularly the webbed duck's feet cause they would not even try it. 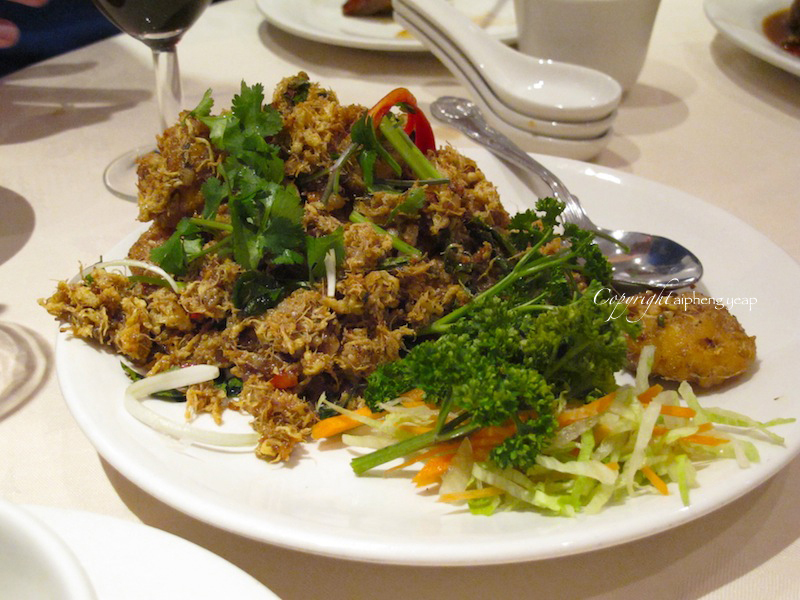 This Gold Mine Prawn is similar to the Butter Prawn back home but is without butter and not as fragrant. Still good though. 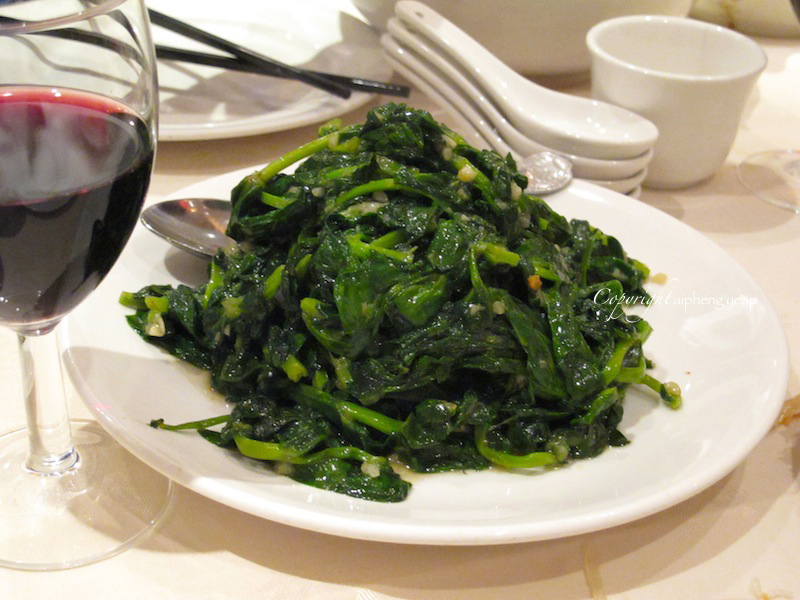 One of the best roast duck and a gold mine of comfort delicious Chinese food. Long queue. Even with reservation, it is common to still wait for the table. Yes, this is where I go for comfort Chinese food.